The club had also developed a successful junior movement by this time, and that program has grown steadily over the years to become the core program of the club. In 1972 there were a total of seven travel teams competing, under the CSC banner, and no recreational program. This year we will have over twenty travel teams, from ages seven through forty and older, and a recreational program. Serving over 2,100 children in grade one through eight. Our Men’s teams compete successfully in the Cosmopolitan Soccer League, one of the best in the Country, our Women’s team competes in the Garden State Soccer League, and our youth teams compete in the Northern Counties Soccer Association League, and MAPS, which are two of the strongest leagues in the area. 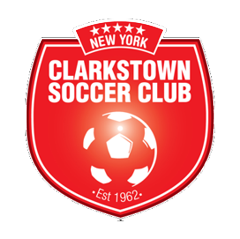 In the last year, our club has enjoyed tremendous success, with numerous League Championships, and tournament victories. We take pride in the fact that we compete at a high level, and we make note of the fact that many of the players who developed their skills in our program are now attending Division One Universities and Colleges on scholarships. We are gratified to have helped in their Development, and in the Development on numerous professional players, including John Diffley, who played with the Tampa Bay Mutiny in the M.L.S.. However our greatest satisfaction continues to come from our role in the Development of youth soccer, in our area, and in particular the Recreational Soccer Program in our community.